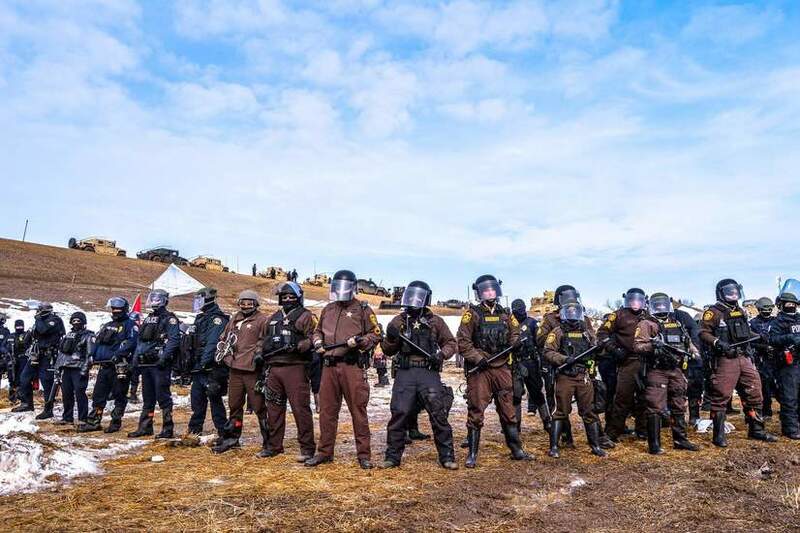 Emails show that the firms Delve and Off the Record Strategies, apparently working on contract with the National Sheriffs’ Association, worked in secret on talking points, media outreach, and communications training for law enforcement dealing with Dakota Access opponents mobilized at the Standing Rock Sioux Reservation in Cannon Ball, North Dakota. This revelation comes from documents obtained via an open records request from the Laramie County Sheriff’s Department in Wyoming. Funny (well not really) but once I brought this idea up as a possibility (not the exact names) and I was told that such an idea was a ridiculous conspiracy theory. People believe in conspiracy theories because it seems like about half the time they are actually truths. This whole thing stinks and just goes to show you what’s really happening behind the scenes.